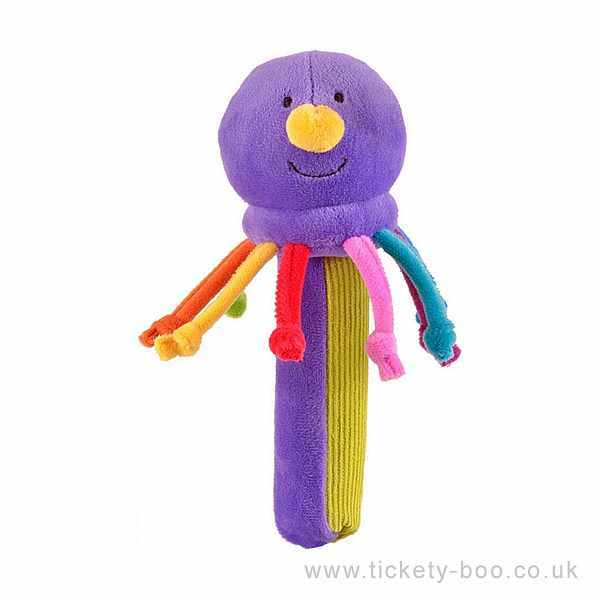 Beautifully crafted members of the hugely popular Baby by Fiesta Crafts range. Made from plush fabrics and corduroy, with bright primary colours, these soft toys are the perfect size for tots. They squeak, jingle and crinkle and are ideal for playing peek-a-boo games, bringing smiles and giggles to little ones faces. The Squeakaboo! range make special little gifts for new born upwards, and come with a gift tag.